fuboTV offers over 70 channels of live TV, along with an on-demand library, and your own cloud-based DVR. Get 7 days free. Hulu with Live TV is an extension of the original Hulu on-demand service. This new offering gives you the on-demand library and 50+ live TV channels. Get 7 days free. Sling TV offers reliability as well as fair pricing. Enjoy over 30 channels for $25 or add as many channels as you’d like. Get 7 days free. Change never comes easy. No team knows that better than the Montréal Canadiens. The Canadiens are working with several new players, so fans can expect some rough seasons ahead as the team rebuilds itself. If you want to keep up on all the action, as the Canadiens try to find their mojo again, but you don’t have cable anymore, you have options. There are a variety of services that allow you to watch Montréal Canadiens games without cable. If you’re looking to get rid of cable but are afraid of losing your access to the NHL keep reading. The following guide offers plenty of ways for you to watch all your favorite teams live when you cut the cord. fuboTV has almost everything you’d need to watch the Canadiens game live stream for the season. NBC is available in many locations. Also included in this package with more than 70 channels is USA, CNBC, and NBCSN. Many regional channels from FOX Sports and NBC Sports are also included. In fact, you’ll find everything from regional to international sports on fuboTV. Prices start at $45 a month, but the first 30-days are available for $40. You can also add-on channels to your package. Otherwise, no hidden fees or contracts are included. You’ll pay for what you get and nothing more! You can learn more with our fuboTV review. 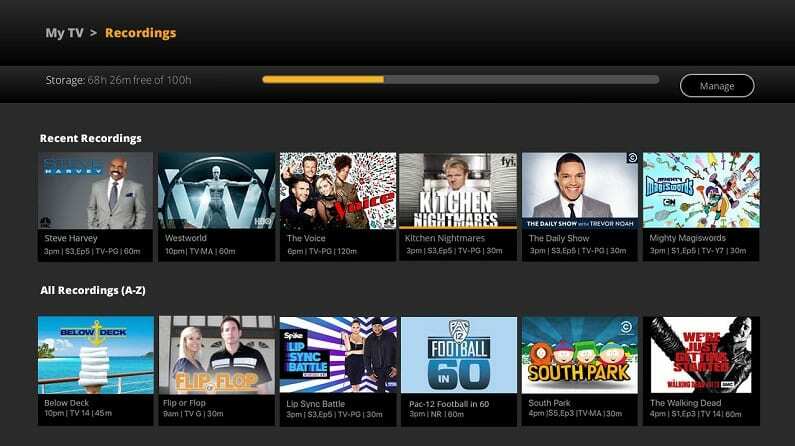 If you want more than live TV, fuboTV also offers an on-demand library and a cloud-based DVR. This is an especially great option if you want to watch something but aren’t able to watch it live. TV Everywhere apps are also included, which will give you even more content to enjoy. You can stream fuboTV on most devices including Apple TV, Amazon Fire TV, Chromecast, computers, mobile devices, Roku, and more. If you want, you can even try out fuboTV streaming with fuboTV’s free weeklong trial. 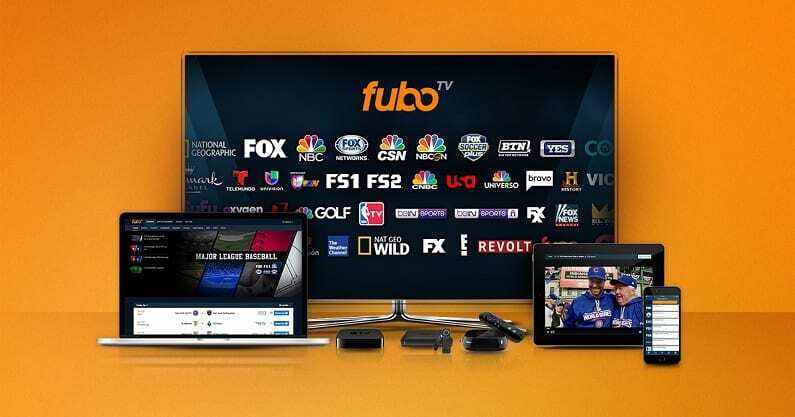 Get fuboTV’s free 7-day trial! Remember the fuboTV free trial, which will give you a chance to watch the Montreal Canadiens game streaming free! Hulu Live has 50+ channels in a package that costs $40 per month. This package should provide several ways to watch Montreal Canadiens online. Your package will lack NHL Network, but it will include CNBC, USA, NBCSN, and NBC in most areas. If you want more channels, there are some add-ons like Starz, HBO, and Showtime available. 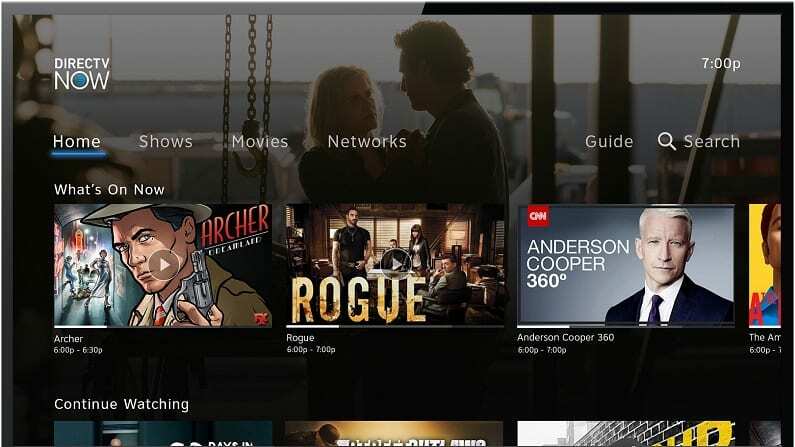 Adding these channels increases your monthly fee, but it also adds several live stream channels and the network’s on-demand library to your package. Our Hulu Live channel list is a great way to learn more about what channels you can expect to find. TV Everywhere apps allow you to watch even more TV. These apps generally give you access to the channel live stream as well as an on-demand library with even more content. Additionally, you’ll have Hulu’s popular on-demand service serving as your on-demand library. A cloud-based DVR will allow you to record 50-hours of television to watch whenever you want. If you need added space, you can upgrade to 200-hours for a small fee. Hulu Live works on most devices including mobile devices, Roku, Apple TV, Chromecast, Fire TV, and more. You can discover more about Hulu with Live TV in our Hulu Live review! Try Hulu Live free for a week! Sling TV allows you to watch the channels you want without paying more for them. Sling Blue is a good option if you like sports. This package offers 30+ channels for $25 per month. It includes NBC in a number of areas, CNBC, USA, and NBCSN. 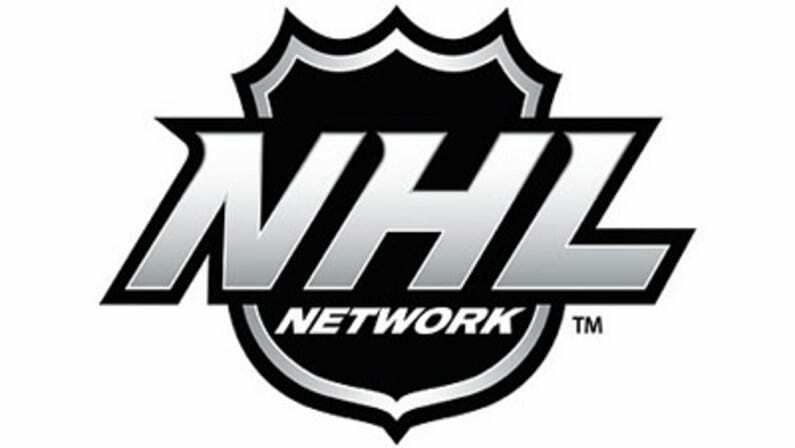 NHL Network can also be included if you order the $5 per month sports package, bringing your package price to $30 a month. You can stop there, or you can add dozens of other bundles, with multiple channels. Sling TV allows you to personalize your package in a way that ensures you’re only paying for the things you want. Like many services, Sling TV offers both an on-demand library and access to many TV Everywhere apps. This alone is going to give you a lot more content. If you want a DVR one is available, but you’re going to have to pay for it. Cloud-DVR service does not come in your account. This allows everyone to determine if they need it for themselves, or not. You can stream Sling TV on mobile devices, computers, some smart TVs and gaming consoles, Apple TV, Roku, Chromecast, Fire TV, and more. You can read our Sling TV review to learn more. Stream Sling TV with Amazon Fire TV, Roku, mobile devices, etc. Don’t forget, you can watch Montreal Canadiens online free with the Sling TV free trial! DIRECTV NOW gives you the chance to pick from four packages, each one larger than the last. These packages include between over 60 and more than 125 channels. On top of that, there are a few add-on channels that you can add to any package. Channels like HBO and other premium movie channels are available for an added cost. Packages offer channels that include AMC, CNBC, Syfy, USA, ESPN, NBCSN, and even local channels in many areas. You’ll also have access to NHL Network. DIRECTV NOW gives you the option of streaming on two devices at once, but you can add a third stream if you’re willing to pay a small fee. Your DIRECTV NOW subscription also includes an on-demand library and access to many TV Everywhere apps. A cloud-based DVR is also included and works like other DVRs, so it should be an easy transition from cable for most people. You can stream DIRECTV NOW on mobile devices, Chromecast, Apple TV, Fire TV, Roku, and more. 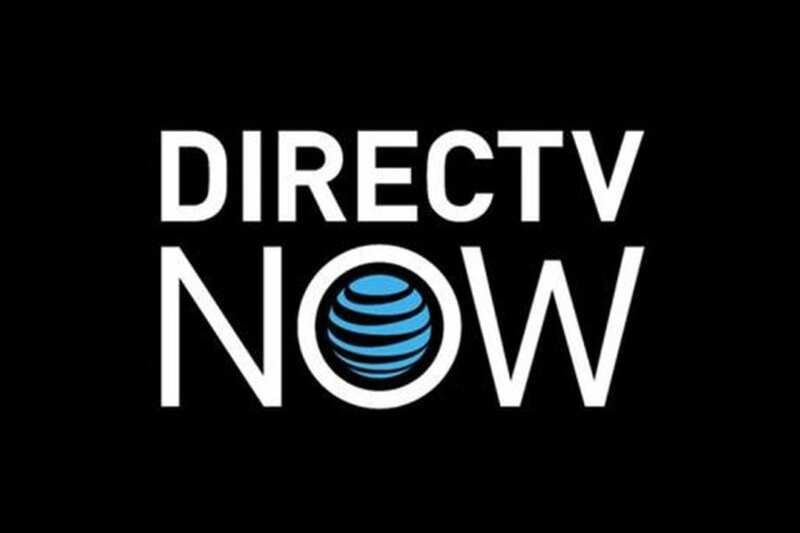 If you’re interested in learning more, a great way to do that is to read our DIRECTV NOW review. Stream with mobile devices, Roku, Chromecast, Fire TV, Apple TV, etc. PlayStation Vue is another way to watch Montreal Canadiens online without cable. Multiple packages are available. The basic package includes 50+ channels at a rate of $45 per month. This package offers a diverse mix of channels, so everyone should find something they want to watch. For hockey fans, this means access to NBC (in some areas), CNBC, USA, and NBCSN. Channels like ESPN, AMC, TNT, TBS, Syfy, and Hallmark are also included. PlayStation Vue (review) also allows you to add some standalone channels like Showtime or HBO to any package, for an added fee. 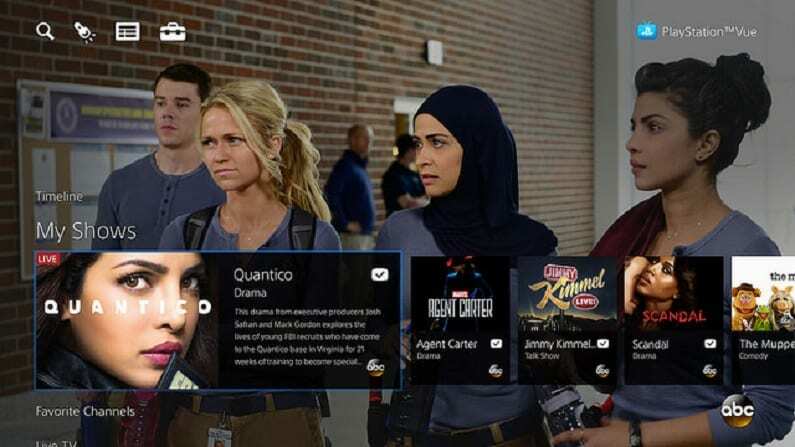 PS Vue also provides access to an on-demand library and TV Everywhere apps. In addition to all of this extra content, you’ll also have your own cloud-DVR. If you share your account in your family, you can create separate profiles to section off the DVR. You’ll be able to stream on five devices at the same time, which is an added perk for larger families. PS Vue is available on Chromecast, mobile devices, PS3/PS4, Apple TV, Roku, Amazon Fire TV, and more. Stream PS Vue on PS3 and PS4, mobile devices, Apple TV, Fire TV, Roku, etc. One of the easiest ways to watch Montreal Canadiens online if you’re not from Montreal is with NHL.TV. In fact, you can get all out-of-market games this way. Depending on your package, you can enjoy every out-of-market game for the entire league for $140 per season or you can get a price break and sign up to just watch Montreal Canadiens online. Monthly pricing plans are also available. Streaming is possible on everything from gaming consoles to mobile devices. Remember, this is a great option if you’re favorite team is not in your home viewing area. No in-market games are offered in live stream. Our NHL streaming guide has all of the details that you’ll need to watch other teams or you can skip right to NHL playoffs streaming. Our full sports guide can fill you in on other sports.